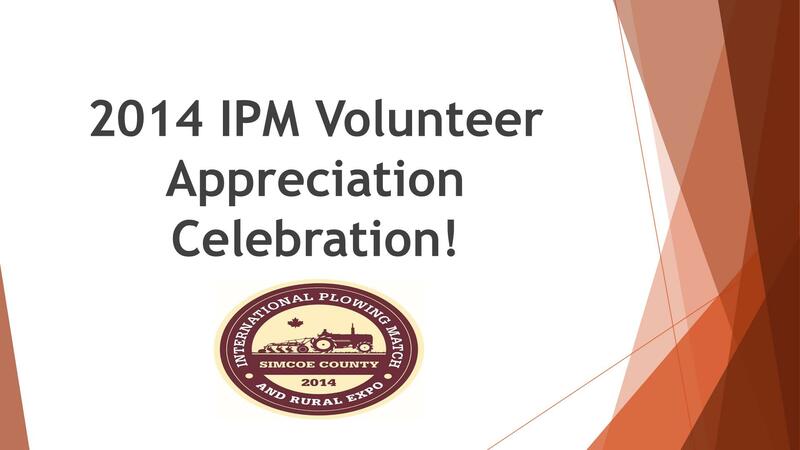 Thank you to everyone who came out to support the 2014 International Plowing Match and Rural Expo! We had a great time and hope you did as well! Thank you to the Sponsors, Vendors and Volunteers, we could not have done it with out you! We are looking forward to next year. 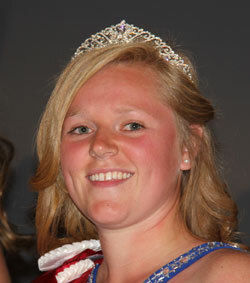 Laura, from Simcoe County, was crowned Thursday evening at the Queen of the Furrow Banquet. First Runner up was Jennifer Vanden Ouweland from Lambton County and Second Runner Up was Fabienne Kagi from Stormont County. Two other finalists were Morgan Roy of Frontenac Wolfe Island and Sheena Grieve of Oxford Blandford-Blenheim. Other winners were Miss Friendship, Natasha-Lyne Roy of Temiskaming. Meghan Taylor from Northumberland County and Olivia Bolender from York Region were winners of the BMO Scholarship Special. The top 5 plowers were first, Jordan Pederson of Wellington; second, Laura Price from Simcoe; third, Bonnie Ward of Durham Region; fourth. Valerie Stone of Brant-Six Nations; fifth, Laurissa Christie of Bruce County. Laura will spend the coming year travelling across Ontario representing the OPA and IPM 2015. Congratulations to Owen Woolley of Ayr, Ontario for winning the Grand Prize Kubota Utility Vehicle in the IPM 2014 Raffle Prize Draw. Thank you to Church's Farm Supply for the donation of the prize! Thank you to Laura Price, 2014-2015 Ontario Queen of the Furrow for making the draws! The winner of the Queen of the Furrow Quilt was Sherri Watier from Simcoe County. Location - 4715 Side Road 20, Thornton, Ontario L0L 2N2 See Google Maps. Follow signs to parking when you get close. Coming Southbound: Take Highway 400. Take Exit 94 (Essa Road). Turn Right onto Essa Road. Continue onto County Road 27. Turn Right onto Sideroad 20. Coming Northbound: Take Highway 400. Take Exit 84 (Innisfil Beach Road/Simcoe County Road 21). Turn Left onto Innisfil Beach Road. Turn Right onto Simcoe County Road 27. Turn Left onto 20th Road. © Preschool Name | Web Templates by Design Essentials.